Description: What could be more fun than to personalize scrapbook pages, memory albums, cards or invitations. Make it easy with PaperHouse Sticker. 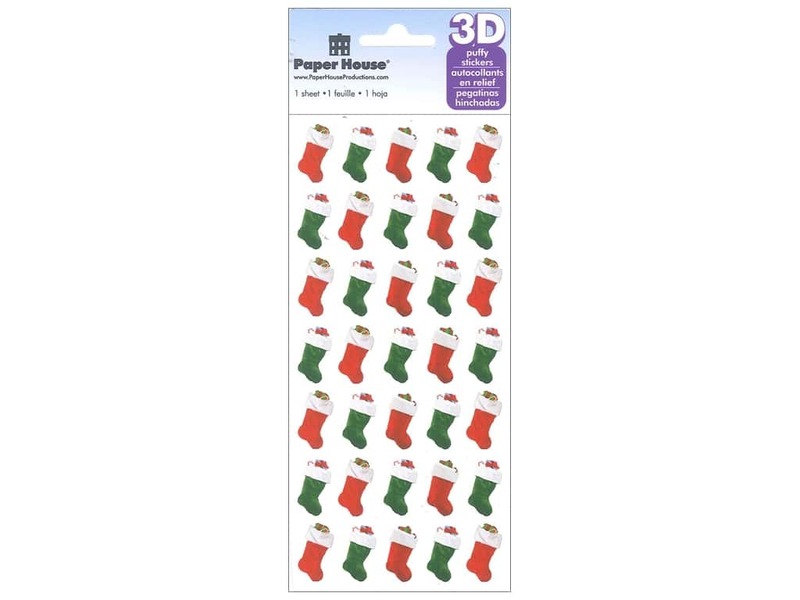 3D Puffy Christmas Stockings- 35 puffy stickers shaped like Christmas stockings. Colors are Red, Green, and White. Size is approximately .5 in. x .75 in.